The single-leg squat will give you a solid foundation. Though you hardly notice it while you're walking, running or otherwise moving about, you spend much of your life shifting your weight front one leg to the other. Adults who do not strength train lose between 2.2 kg and 3.2 kg of muscle every decade. Although endurance exercise improves our cardiovascular fitness, it does not prevent the loss of muscle tissue. 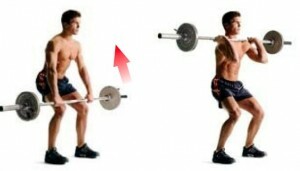 Only strength exercise maintain our muscle mass and strength throughout our mid-life years. Building muscle takes effort, discipline and a lot of pain. Here's how you make sure your hard work doesn't waste away.